Fort Worth, Texas magazine gives its readers the insider information they need to experience Fort Worth and surrounding communities. Each month, through the magazine and its ancillary products like the website and business publication FW Inc., we provide our readers with intriguing profiles, dining and cultural guides, in-depth features and authoritative listings. For nearly two decades, the magazine has been building one of the most desirable audiences you will find anywhere through award-winning editorial, paid targeted circulation, and affluent readership, all packaged in a four-color, glossy format. Fort Worth, Texas magazine is dedicated to connecting your product or service with our readers across all marketing channels. 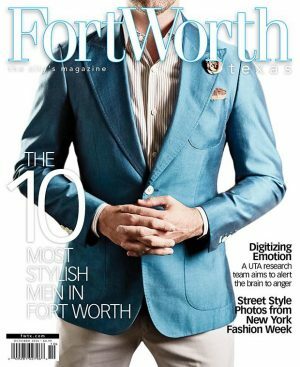 As the topic of discussion at cocktail parties and water coolers all over town, Fort Worth, Texas magazine has become the city’s authority in quality journalism.